My parents moved the family to Michigan when I was 5 years old. Neither one of them had ever lived in a state with real winters. We were all a little terrified. But my mom and dad were young-ish and in love and up for arctic adventures. They embraced the wonderland created by the infamous lake effect snow. They bought cross country skis for the whole family, even my 3-year-old brother got a pair. We would ski all day through the woods near our house, like we were Finnish. My mom and dad borrowed the neighbors snowmobiles sometimes. My dad built snow forts for all of us in our front yard. They took us sledding on the giant hill next to our house (it turns out upon visiting the house 25 years later, that hill isn't so giant, it's more like a slope, but it might as well have been a mountain when I was 5). We enjoyed the winter outside together. Those are some of the greatest memories of my childhood. I get to do all of that with my family. We bought ice skates for the whole family, even though sometimes Wade doesn't wear his. 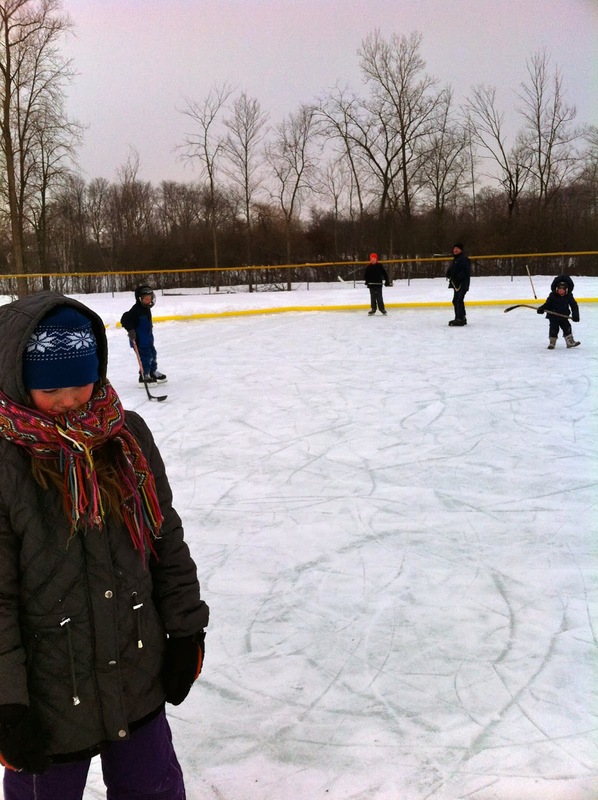 We skate on local ponds and rinks like we're Canadian. Tim builds snow forts in the front yard. We go sledding in the park. We enjoy the winter outside together. 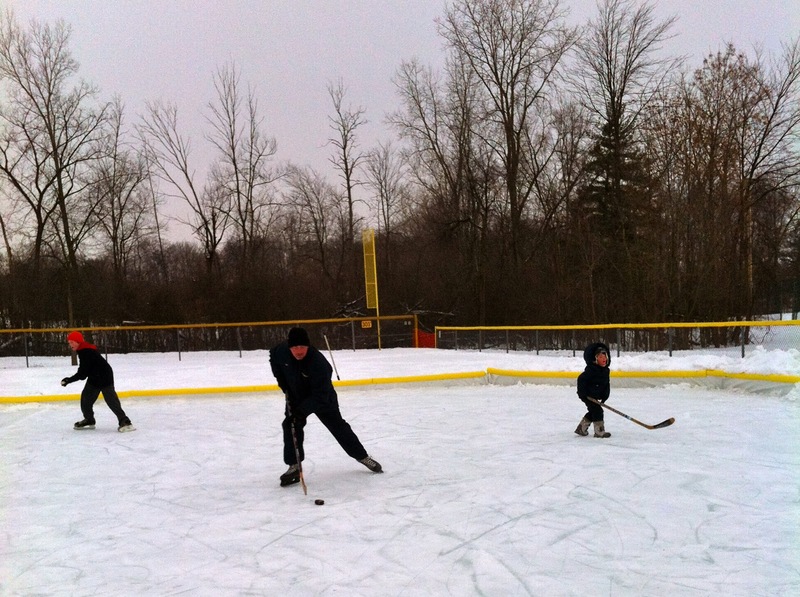 Winter can be so much fun. It's all cold toes, rosy cheeks, snow forts, hockey games, snow days, skiing, snowflakes, ice skating, Swiss Miss, long underwear, sleds, snowball fights---I mean if you are lucky enough to live in a winter-y kind of state. If I could give parents one piece of advice it would be to play with your kids. Get outside and have fun. Your kids will remember it forever. You will remember it forever. None of my kids are going to the Olympics, but we can't wait to watch them. And I LOVE this commercial...seriously, I tear up every time. My kids might not be going to the Olympics, but there's still time for me! Ok, maybe not. But check out the story below about a woman that's going for the Gold at 50. Yeah, 50. So inspiring. You look like a family who knows how to have fun - that's awesome! you definitely know how to have fun, and no doubt your kids will definitely remember it. I just love how you embrace your winters. I could learn a thing or two from you on that front. xo.